With increased national demand for comprehensive retrofits, the RESNET Board of Directors has made it a requirement that RESNET certified Raters must pass the Combustion Safety and Work Scope written exam and simulation prior to December 31st, 2014, to maintain the Rater Certification. This 7-hour online training designed for Raters who are also BPI certified, is conveniently spaced over just 1 week and will prepare attendees to take and pass the tests. All existing Raters must pass both the written and simulation CAZ exams by January 1, 2015, to maintain their Rater certification. This RESNET Combustion Safety and Workscope Training fulfill this requirement. All online sessions will be recorded for later viewing for our participants convenience. NREL’s OpenStudio platform for EnergyPlus is changing the way building professionals approach energy modeling. Join us for a free 30-minute free overview of our Open Studio Training, and how it can benefit you and your business. Our instructor, Chris Balbach, will lead the webinar and will answer any questions you may have about the training. Chris has over 15 years of experience using energy modeling and analysis software to analyze the investment potential of existing buildings, with a focus on energy efficiency, building durability, and occupant health and safety. He is an active member of the IBPSA-USA Board of Directors, chairs the AEE BESA (Building Energy Simulation Analyst) certification board, and is a voting member of the ASHRAE SPC 211 (Standard for Commercial Building Energy Audits). Raters are distinctly qualified to conduct HERS ratings and provide verification for ENERGY STAR, LEED, and Energy Efficient New Home tax credits. This webinar will give a brief overview of our HERS Rater training. The training and testing, which includes both classroom and field work, forms a comprehensive training experience that is accredited through the Residential Energy Services Network. This webinar is free, and our trainers will be available to answer your questions. Please register in advance and we will send you a link. Become a rater member of the PSD HERS Rater Provider. TREAT is our award-winning energy audit software for comprehensive energy analysis and building modeling. A winner of the prestigious R&D 100 award, TREAT is the only energy audit software approved by the DOE for all residential housing types – including multifamily. TREAT is market tested, with thousands of users enjoying accurate results for over a decade of supporting whole house energy audits. Learn how training can help you to get the most from TREAT. Our trainer will be available to answer your questions. The webinar is free. Please register in advance and we will send you a link. This two-hour webinar will walk users through each screen of the TREAT user interface. Core energy modeling concepts will be introduced and discussed. Participants will learn how to understand how changes made to the model affect the estimated energy consumption. A computer with microphone and speakers, or a computer in conjunction with a phone are recommended for participation. Participants are eligible for 2.0 BPI CEUs. Upon completion you will be eligible to receive 2 continuing education units (CEUs). PSD’s 16-hour comprehensive TREAT training, conveniently delivered through four four-hour live, online webinars, will expose attendees to time efficient modeling procedures and methods. Attendees will learn how to leverage the TREAT modeling software to model and evaluate typical improvement workscopes used by weatherization programs, construct energy models of multifamily buildings from ‘scratch’, and apply templates to streamline the evaluation of standardized improvements. The course is comprehensive and will cover apartment sampling, energy model calibration, modeling strategies, data entry problem solving, billing analysis, quantifying interactions between systems, predicted energy savings, and calculating SIRs. Students will be given homework assignment each day so that they can practice building TREAT models. Integrate TREAT into the auditing process to improve overall project efficiency and productivity. Modeling is now a BPI requirement. Upon completion you will be eligible to receive up to 8 continuing education units (CEUs). Expand your business into the growing field of home performance. Provide certified HERS ratings and provide verification for ENERGY STAR and LEED. Work with home builders and architects to design and build energy efficient homes. Consult with homeowners on how to improve their home’s energy efficiency, comfort and safety. Contractors seeking to diversify into home performance. This includes HVAC; home builders; insulation/air sealing; remodeling; windows/doors; siding; plumbing; handyman; renewable energy installers; Indoor air quality; roofing; home automation. BPI Certified professionals seeking to become RESNET certified HERS Raters. Energy Auditors and Home Inspectors seeking the income potential by adding new services. Architectural firms seeing to establish an in-house HERS Rater. Anyone seeking an exciting building performance career or business. Ten 3-hour online sessions spread over 2 weeks + 4 classroom/field days. This training will familiarize participants with the process and science of conducting an energy rating, and prepare you to successfully pass the HERS certification test and perform ratings of newly built houses. The course will examine “the house as a system,” including energy and moisture transfer, the thermal envelope, air leakage problems and solutions, ventilation and indoor air quality, windows, as well as basic energy load calculations, and diagnostic testing using a blower door, infrared thermography, and a duct blaster. Following the class, students will apply for certification with an accredited Home Energy Rating System (HERS) provider. The online training, combined with classroom and field work, forms a comprehensive training experience that is accredited through the Residential Energy Services Network. Describe the purpose and benefits of home energy ratings, and communicate these to potential customers. Explain the basics of energy efficient mortgages, energy improvement mortgages, the Energy Star Homes program, and related products to potential customers. Perform infield inspections and diagnostics necessary to produce a home energy rating, including blower door leakage testing and duct leakage testing. Operate rating software and produce required reports. Produce accurate and unbiased home energy ratings, from building plans and from field inspections. Describe the follow-up process required for completion of the rating and loan process. List the goals, services and responsibilities of the national home energy rating system. Upon completion of the course you will receive 22 continuing education units (CEUs). This two-hour webinar will cover advanced TREAT modeling using the multifamily version. To attend this webinar, participants must be well versed in the use of multifamily TREAT (e.g. prior attendance to an in-person training, webinar, etc.). This webinar does not include the full creation of a model, but rather focuses on troublesome aspects of energy modeling, and the specific issues of the attendees. A computer with microphone and speakers, or a computer in conjunction with a phone are required for participation. Participants are eligible for 2.0 BPI ceus. Understanding details of multifamily domestic hot water systems. This two-hour webinar will cover high rise modeling using TREAT multifamily software. A computer with microphone and speakers, or a computer in conjunction with a phone are recommended for participation. To benefit the most from this webinar, participants should have prior experience modeling TREAT software, or have attended the introductory webinar. Home buyers are increasingly seeking energy efficient homes and recognize the ENERGY STAR label. Learn how you can differentiate your business by demonstrating your commitment to quality, comfort, energy efficiency, durability, and the environment. This webinar will give a brief overview of the ENERGY STAR for New Homes version 3 program. Our trainers will be available to answer your questions. This 4-day online training course will teach students how to leverage the free NREL OpenStudio modeling ecosystem to quickly and efficiently generate flexible models for energy analysis. Students will learn effective modeling workflows for using the OpenStudio Sketchup Plugin to construct building form and fabric and assigning space attributes. HVAC and service hot water systems will be configured using the OpenStudio Application. The OpenStudio Application integrates with NREL’s Building Component Library (BCL), providing libraries of pre-defined configurable energy conservation measures for easily modifying energy models. PAT (Parametric Analysis Tool) will be used to demonstrate how model variants can be configured to run in cloud computing environments (Amazon EC2). Students will also be exposed to OpenStudio’s capabilities for extension through Ruby Scripting, both for creating custom energy conservation measures and for generating useful summary and detailed output. Learn to use the OpenStudio modeling ecosystem to effectively model the energy and lighting performance and consumption for new and existing buildings. Learn how careful OS model configurations can allow for rapid alterations and manipulations. Learn how to use the power of OpenStudio “measures” to easily evaluate changes to your building model. Much of the energy used in commercial buildings is wasted because of improper operations. Many buildings are not properly commissioned, operated, or maintained, which leads to inefficient operation and reduced lifetimes of equipment. This course is based on the publicly available curriculum developed by the Pacific Northwest National Laboratory and will teach you techniques and strategies that can be utilized to maintain building systems, make them more efficient, and target areas for improvement. Presented by PSD and the Association of Energy Engineers (AEE) this comprehensive training course is designed to provide the necessary training for those seeking to achieve the status of Certified Measurement and Verification Professional (CMVP). More details about the CMVP designation can be found at www.aeecenter.org/certification/CMVP. Proven energy savings are now playing a significant role in financing energy management programs, whether through energy performance contracts or through emission trades under schemes such as the clean development mechanism of the UNFCCC. While interest in savings data is growing, the state of the art in determining savings has also been rapidly evolving. This seminar will examine current best practices for determining and documenting savings, specifically reviewing the current edition of the International Performance Measurement & Verification Protocol (IPMVP). Attendees will learn the process of designing a proper M&V program for their projects, including cost/accuracy tradeoffs, baseline adjustments, interactive effects, types of savings, maintaining transparency, and analysis methods. Examples of specific techniques will be presented, along with common pitfalls which can result in unreliable savings reports. These techniques are central to management under the new ISO 50001 standard for Energy Management Systems. Class time will include problem solving and debate. Through participating in a “fundamentals” course, persons experienced in M&V will also appreciate the assembly of all of the issues, the debates, and engagement at their own level with expert instructors. The CMVP exam will be administered at the close of instruction on day three of each seminar to those who have qualified in advance to sit for the exam by submitting a completed CMVP application and fee. Advance reading of IPMVP Volume I (available at www.evo-world.org) would be useful reading before the exam, though not required. Registration includes all workshop material & continental breakfast and lunch daily. Selecting Options: Which One Is Best Suited For My Project? During this two hour webinar participants will create a TREAT model of a high-rise building step by step with the instructor. A computer with microphone and speakers, or a computer in conjunction with a phone are recommended for participation. This 2-day hands-on course will teach students how to leverage the free NREL OpenStudio modeling ecosystem to quickly and efficiently generate flexible models for energy analysis. Students will learn effective modeling workflows for using the OpenStudio Sketchup Plugin to construct building form and fabric and assigning space attributes. HVAC and service hot water systems will be configured using the OpenStudio Application. The OpenStudio Application integrates with NREL’s Building Component Library (BCL), providing libraries of pre-defined configurable energy conservation measures for easily modifying energy models. PAT (Parametric Analysis Tool) will be used to demonstrate how model variants can be configured to run in cloud computing environments (Amazon EC2). Students will also be exposed to OpenStudio’s capabilities for extension through Ruby Scripting, both for creating custom energy conservation measures and for generating useful summary and detailed output. Continuing Education Credits: IBTS is authorized by IACET to offer .2 CEUs for this program. AIA has approved 2.0 LU/HSW units for this program. The New York State Energy Conservation Construction Code (“Energy Code”) will be updated in accordance with the 2015 International Energy Conservation Code in 2016. This new Energy Code will be more complex and present new challenges for the building design construction and enforcement industry. NYSERDA has partnered with the Institute for Building Technology and Safety (IBTS) to deliver live training over the next two years focused on the role of “energy specialists” and how they can support builders, designers and code enforcement officials and their value in performing a more significant role in Energy Code compliance and enforcement. This session is an interactive, two-hour course designed for engineering and design professionals, code enforcement officials and members of the building community. To improve energy efficiency through training, education, and outreach it is important to know where we’re starting from. The Penn Energy Codes program recently completed field visits to a random sample of 171 residential construction sites across eastern Pennsylvania. The good news is that builders and code officials are doing a good job. But even so, there are plenty of opportunities for improvement. Learn about our recent study which included blower door and duct leakage testing along with observations of installed insulation, windows, and lighting. Also learn about new resources available to builders, code officials, and design professionals to help make your jobs easier while improving the comfort and durability of new homes and reducing homeowner energy bills. 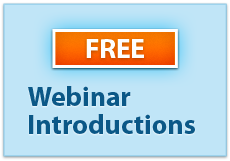 Webinars are free to attend. One Continuing Education Hour for Pennsylvania Department of Labor & Industry certifications will be available for code officials. Certificates of attendance will be emailed to attendees for a fee of $20. This advanced course focuses on using Ruby to code new OpenStudio measures and is designed for users already familiar with OpenStudio. Having taken our introduction to OpenStudio course is recommended. If you have not taken this course we may contact you to confirm your basic proficiency with OpenStudio. 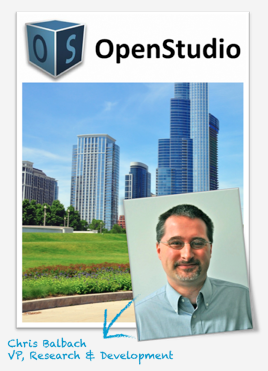 This class focuses on advanced use of the OpenStudio toolset. This is an advanced course and requires familiarity with the basics of OpenStudio. A brief introduction about coding & ruby language. Access to building component library from NREL. Deep interrogation of ruby language for OS measure writing which includes introduction of ruby objects & scripts. Optional 2- hour SketchUp Training Available May 23 for an addition $150. Many past students have asked to have this option added. Hosted from 1 to 3 pm EST. This 5-day online training course will teach students how to leverage the free NREL OpenStudio modeling ecosystem to quickly and efficiently generate flexible models for energy analysis. Students will learn effective modeling workflows for using the OpenStudio Sketchup Plugin to construct building form and fabric and assigning space attributes. HVAC and service hot water systems will be configured using the OpenStudio Application. The OpenStudio Application integrates with NREL’s Building Component Library (BCL), providing libraries of pre-defined configurable energy conservation measures for easily modifying energy models. PAT (Parametric Analysis Tool) will be used to demonstrate how model variants can be configured to run in cloud computing environments (Amazon EC2). Students will also be exposed to OpenStudio’s capabilities for extension through Ruby Scripting, both for creating custom energy conservation measures and for generating useful summary and detailed output. Home buyers are increasingly seeking energy efficient homes and recognize the ENERGY STAR label. Differentiate your business by demonstrating your commitment to quality, comfort, energy efficiency, durability, and the environment. Builders of ENERGY STAR homes experience less risk of post sale issues; higher customer satisfaction; and meaningful competitive differentiation. This 16 hour training will be split up into 4 convenient half day online sessions. Each session will be held from 9am-1pm Eastern. If this schedule does not work with your schedule, please contact us for other possible options. This training will cover the new requirements of ENERGY STAR for New Homes version 3 program. The training will include an ENERGY STAR v3 Overview, Thermal Enclosure Rater Checklist, HVAC Quality Installation Rater Checklist, Water Management Builder Checklist, and question answer sessions. At the conclusion of the training each participant will take an online test to qualify for the completion certificate. This training is approved for 18 hours of RESNET Professional Development Credits and 9 BPI continuing education credits. *Raters may optionally purchase a hard copy of the manual for an additional $100, however all material is available in electronic form included with the cost of training. This course is designed to inform building code enforcement, design and construction professionals about third party energy professionals – who they are, how to find them and how they can contribute to compliance with the residential provisions of the 2016 Energy Conservation Construction Code of New York State (Energy Code). The course explores energy professionals in the context of relevant residential Energy Code provisions and highlights best practices and case studies of jurisdictions currently employing energy professionals. Residential Energy Code provisions that permit contributions from energy professionals. Common residential energy professionals, their skills and qualifications. Each energy professional’s potential contributions to residential Energy Code compliance. How and where energy professionals fit into building design, construction and enforcement. IBTS, in conjunction with the New York State Energy Research and Development Authority (NYSERDA) is providing this training and education for New York’s professionals on topics related to the New York State Energy Code. GBCI, BPI, ICC, AIA, and IACET credits available. 1 hour break for lunch (food is not provided). Learning Objective: Students will be introduced to the Commercial Building Asset Score Tool and develop an understanding of the basics for navigating within the tool and gain insight into some best practices for using the tool, leveraging the community of users, and getting help with models. Students will focus on how the Building Energy Asset Score Tool can accommodate them in complex real-world situations and deep-dive into complex scoring examples. Welcome and introduction to speaker. Advanced HVAC inputs using Asset Score. Importing data from EPA Portfolio Manager. Exporting completed Asset Score project to an OpenStudio Model. The purpose of this course is to introduce building staff and management to the primary systems in commercial buildings that use energy. This course will explain how the HVAC, lighting, and building envelope operate, interact, and use energy. The attendees will learn examples of and good practices for energy efficiency opportunities, overview and tools for making sound economic decisions related to energy efficiency upgrades, and understand when to use nationally recognized energy efficiency tools and their expected level of effort and cost. Specific examples, rules-of-thumb, and energy efficiency opportunities for each of the systems described above. These will focus on energy end-use strategies to minimize energy costs, energy demand charges, and overall energy usage. Overview and tools for economic decision making process to include local efficiency incentives available and the application process. Demonstration of the importance and use of nationally recognized energy efficiency tools. Understand when to use each of the tools and the expected level of effort and cost for each. Have a general knowledge of the primary energy end-use systems of commercial buildings, and how they operate. The purpose of this course is to help operations and maintenance (O&M) staff learn how to operate buildings more efficiently, reduce operating cost, and provide energy savings. This course will provide prescriptive best practices for maintaining good operations, and an overview of the re-tuning process using building automation system (BAS) trend data. Attendees will learn how to look for and optimize the control strategy for many of the common energy saving opportunities such as occupancy scheduling, temperature and static pressure control, and economizer function. Attendees will also learn basic principles of preventative maintenance, electrical diagnostics, building commissioning, and demand response. This 16 hour training will be split up into 4 convenient half day online sessions. Each session will be held from 9am – 1 pm Eastern. This training will cover the new requirements of ENERGY STAR for New Homes version 3 program. The training will include an ENERGY STAR v3.0/v3.1 Overview, Rater Design Review Checklist, Rater Field Checklist, and question answer sessions. At the conclusion of the training each participant will take an online test to qualify for the completion certificate. This training is approved for 18 hours of RESNET Professional Development Credits and 16 BPI continuing education credits. Only 4 hours over 2 days, so it’s easy to fit in your schedule! Interested in reducing your modeling effort? TREAT Single Family training is perfect for new and current TREAT users. We’ll teach you the best practices needed to streamline your modeling time. Reducing data input effort, calibrating your models, and ensuring that your projects are accurate and show savings! This eight-hour training will help you get the most from TREAT, our award-winning energy modeling software. The course focuses predominately on using TREAT for single family residential projects. We will cover a bit of Multifamily modeling towards the end of day 2! Learn techniques to streamline the modeling process and complete more models in less time. Learn the TREAT essentials you’ll need to become more productive. Utilizing smart defaults and preferences to reduce your modeling effort! 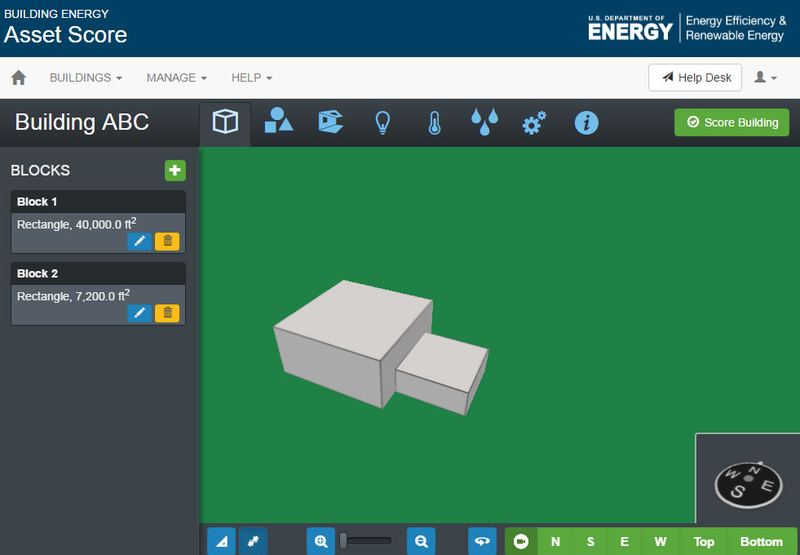 Create a sample building energy model during the class. Learn more about some of the latest features available in TREAT 3.5! Creating a model of energy usage can be complex! This training covers the TREAT features, including the Project Wizard, that will help you create TREAT models quickly and efficiently. Designed to help municipal decision-makers understand the benefits and requirements of the Energy Code. This 2-hour course is designed to familiarize municipal officials, building code officials, and other important decision makers with the NYS Energy Conservation Construction Code (NYSECCC) and the role third party energy professionals can take to assure energy code compliance and the subsequent benefits. The course will include an overview of the energy code, information on resources available to assist with energy code compliance, including introduction to the services and value of energy professionals, and case studies that illustrate the successful implementation of energy professionals into existing design, construction, and enforcement processes. The challenges and opportunities associated with enforcing compliance with the energy code. Provisions that permit the use of third-party energy professional services. Applicable, real-world municipal-focused case studies. AIA LU/HSW, ICC, IACET, GBCI, BPI and NYSDOS ECCC continuing education credits are available for this course. In association with the 2018 NYS Green Building Conference, this training is being offered free of charge. For more information and to register for the conference, please go to www.esf.edu/greenbuilding. Designed for potential consumers of third-party energy professionals’ services, this course will explore their role in achieving compliance with the ECCC-NYS 2016. This course, designed for consumers and potential consumers of third party energy professionals’ services, will explore the role of energy professionals in achieving compliance with the residential provisions of the 2016 Energy Conservation Construction Code of New York State (ECCCNYS-2016). The course will include an overview of the residential energy code provisions that promote the use of energy professionals, highlight best practices and case studies of jurisdictions currently employing energy professionals, and offer discussion on incorporating the energy professional industry into current design, construction, and enforcement processes. Become familiar with residential code provisions that permit the use of energy professionals. Identify common residential energy professionals and their skill sets and capabilities. Discuss the benefits of using each energy professional in residential code compliance. Identify how and where energy professionals fit into current code compliance processes. AIA LU/HSW, ICC, IACET, GBCI, BPI, RESNET and NYSDOS ECCC continuing education credits are available for this course. Designed for residential energy professionals, this course will empower attendees to develop a business case for energy professional services. * Residential code provisions that permit the use of energy professionals’ services. * What the needs are of potential consumers of energy professionals’ services. * Business opportunities for residential energy professionals in the current code compliance processes. * Ways to increase business by learning to effectively communicate residential services to potential customers. * How to develop a business case to present to potential customers. AIA LU/HSW, ICC, IACET, BPI, RESNET and NYSDOS ECCC continuing education credits are available for this course. This 16 hour training will be split up into 4 convenient half day online sessions. Each session will be held from 9:00 am to 1:00pm Eastern. If this schedule does not work with your schedule, please contact us for other possible options. Upon completion of the course you will receive 16 continuing education units (CEUs). The NYC Department of Buildings will be rolling out the U.S. Department of Energy’s Asset Score Audit Template (Audit Template) as the new Energy Audit Data Collection Tool for LL87/09 energy audit reporting requirements. In reporting year 2018, use of the new tool will be optional. The NYC Department of Buildings will still accept the excel-based Energy Audit Data Collection tool found. In reporting year 2019, this new tool will be required and the NYC Department of Buildings will no longer accept the excel-based tool. The Retro-commissioning Data Collection Tool will continue to be excel-based until otherwise notified. To begin or maintain an active partnership with ENERGY STAR, an organization must have at least one individual on staff who is a certified Rater and has completed the required training through an accredited training provider. Any organization wishing to participate in the new Multifamily New Construction ENERGY STAR program must complete the MFNC Version 1 Training by January 1st 2020. This training meets this requirement, and will earn you enough PDHs to renew your Rater Certification for 3 years! These are online courses. May 7-9 will be held from 9:00am-12noon and October 22-24 will be held from 1:00pm-4:00pm. To begin or maintain an active partnership with ENERGY STAR, an organization must have at least one individual on staff who is a certified Rater and has completed the required training through an accredited training provider. This training combines the ENERGY STAR Certified Homes Version 3 training with the Multifamily New Construction ENERGY STAR Version 1 Training required by January 1st 2020. This training meets this requirement, and will earn you enough PDHs to renew your Rater Certification for 3 years!